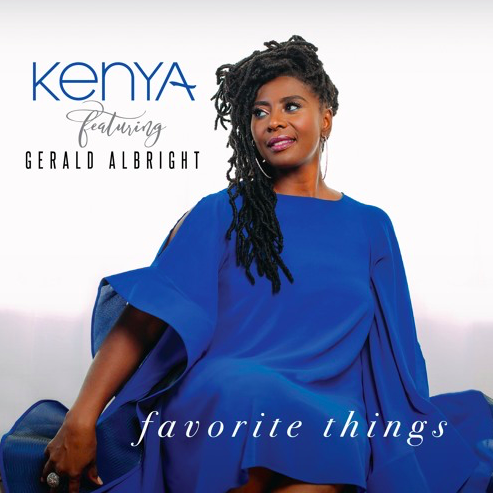 JAZZ CHILL : Jazz / Soul: Kenya + Grammy Nominated Gerald Albright "Favorite Things"
Jazz / Soul: Kenya + Grammy Nominated Gerald Albright "Favorite Things"
Nov 9th, Kenya released her holiday smooth jazz infused single, "Favorite Things" on streaming outlets everywhere. The single was produced by Stu Stapleton and features the jazz great, Gerald Albright. Kenya has opened up for greats like Lalah Hathaway, Alegbra, and Mint Condition. From her performances at the Essence Festival to teaching young musicians how to handle their business affairs, Kenya stays busy giving us this special surprise for the holiday season. Her sultry vocals accompany the sounds of Mr. Albright and is a crowd pleaser. The single will be found on her upcoming EP, S.H.E. (2019 release).